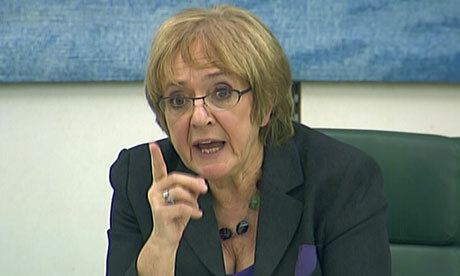 Peel Group has hit back at the Public Accounts Committee after being accused of failing to pay enough corporation tax - with chair Margaret Hodge even suggesting the BBC should have found an alternative landlord for its move to MediaCityUK. Senior BBC management including BBC North director Peter Salmon, BBC trustee Anthony Fry and chief financial officer Zarin Patel were questioned about the relocation during a session at MediaCityUK yesterday. And fresh from leading attacks on Google, Amazon and Starbucks for paying too little tax, Hodge singled out Peel for only paying a maximum of 10% in corporation tax, and even claiming that some parts of the Manchester-based group pay no tax at all as they are based abroad. “They do not pay their fair share," she said. BBC finance chief Patel pointed out that the corporation had been bound by EU legislation on open procurement, but Hodge said she was "fed up" of hearing that answer and insisted there were "ways round" such restrictions. “Peel almost have a monopoly of a lot of capital investment in this area, which always worries me as to whether you, the BBC, gets the best price," Hodge said. She added that the BBC - who she also congratulated for delivering the MediaCityUK move on time and broadly on budget - should have tried harder to find a company that paid more tax. After the session, a Peel spokesman defended the group's tax arrangements. He said: "Following comments made at the Public Accounts Committee meeting on Monday, The Peel Group would like to make it clear that it rejects any assertion that it is not paying its fair share of corporation tax. “All Peel operating businesses, including Peel Media (the developers and owners of MediaCityUK), are UK domiciled for taxation purposes and pay the appropriate level of UK tax. Peel was granted planning permission to develop the 200-acre MediaCityUK site in 2007, with construction beginning the same year.